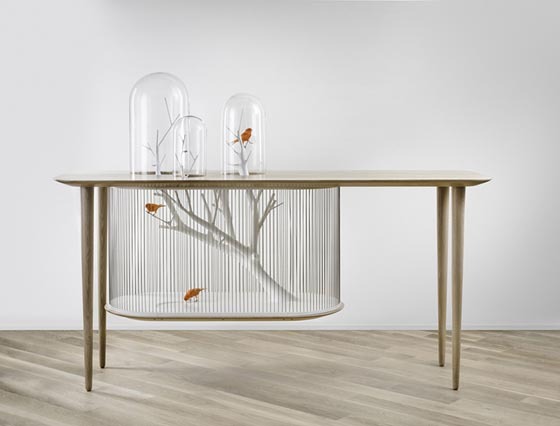 Cage Archibird is designed by French interior architect and designer Grégroire de Laforrest who always develops fresh and new designs to break conventional expectations. 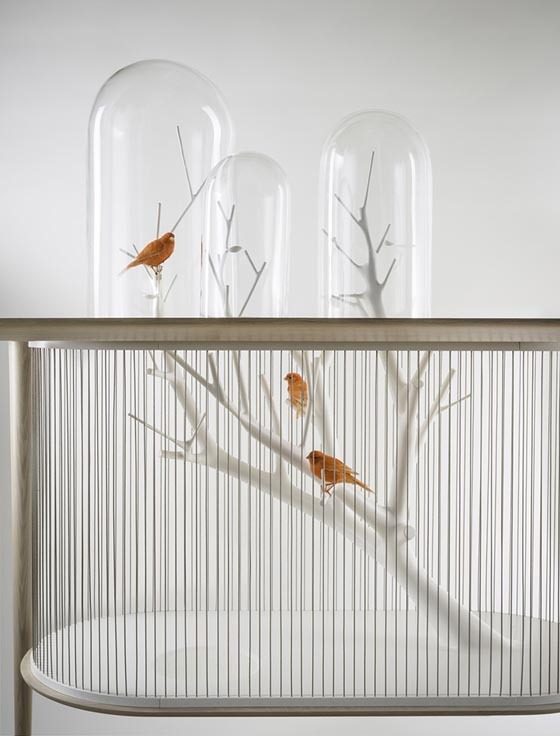 With the cage, birds have the freedom to move around and to perch upon the tree branches, both underneath and within the glass bells, while the surface of the talbe is also available for people to use and give a great view of bird observation. 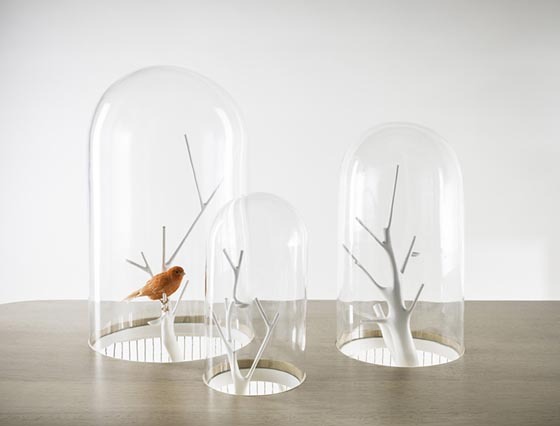 The branches are made to mimic nature and the final piece features a variety of perches, feeders, and a small pool for the birds to enjoy. 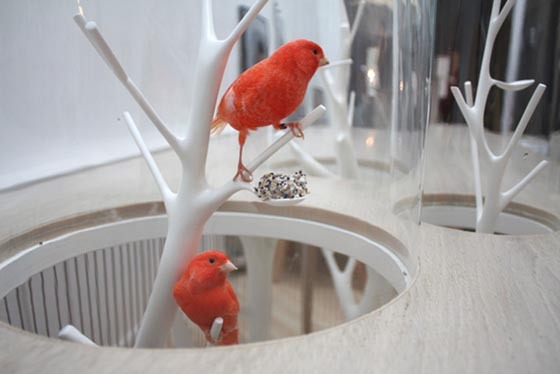 You can find more detailed information about how the building of the cage on SeeWhy Workshops. 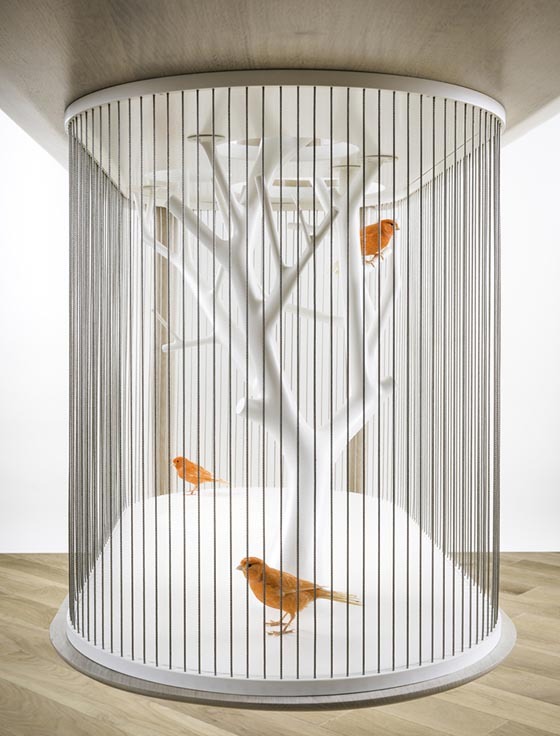 This will be a wonderful furniture in any home.